We are a professional LED light manufacture, LED cabinet light is one of our main products with many styles and competitive price. 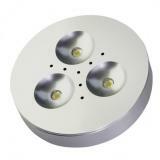 LED Puck Lights ILED-PK-201L adopt high quality Edison or Cree LED as the light source. Beautiful appearance with fashionable structure. With built-in constant current led driver and powered by AC/DC power supply. 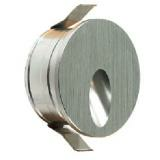 There are two installations as Surface and recessed mounted. 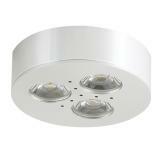 Kitchen Under Cabinet Lighting LED ILED-PK-201D adopt high quality Edison or Cree LED as the light source. Beautiful appearance with fashionable structure. With built-in constant current led driver and powered by AC/DC power supply. There are two installations as Surface and recessed mounted. 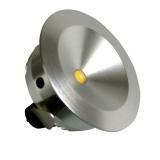 Round LED Cabinet Light ILED-PK-201C adopt 1 pcs high quality 1W Edison or Cree LED as the light source. Beautiful appearance with fashionable structure. With built-in constant current led driver and powered by AC/DC power supply. 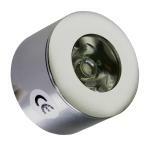 Tiltable 12VDC LED Eye Puck Light for Cabinet Lighting ILED-PK-201G adopt 1 pcs high quality 1W Edison or Cree LED as the light source. Beautiful appearance with fashionable structure. With built-in constant current led driver and powered by AC/DC power supply. 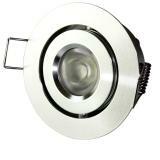 It also can be used downlight lighting. Hot Selling IP44 Round LED Accent Downlights for Bathroom light ILED-PK-201I adopt 1 pcs high quality 1W Edison or Cree LED as the light source. Beautiful appearance with fashionable structure. With built-in constant current led driver and powered by AC/DC power supply. 12VDC Square Tiltable LED Cabinet Light ILED-PK-201B adopt 1 pcs high quality 1W Edison or Cree LED as the light source. Beautiful appearance with fashionable structure. With built-in constant current led driver and powered by AC/DC power supply. 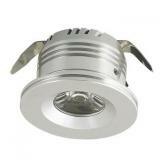 It also can be used downlight lighting. 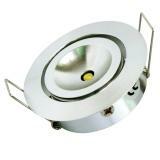 Aluminum Hot Selling 1W LED Furniture Lighting 12VDC ILED-PK-201N adopt high quality Edison or Cree LED as the light source. Beautiful appearance with fashionable structure. With built-in constant current led driver and powered by AC/DC power supply. There are two installations as Surface and recessed mounted. 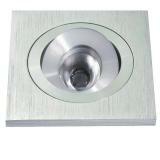 Aluminum Hot Selling 1W LED Cabinet Light ILED-PK-201M adopt high quality Edison or Cree LED as the light source. Beautiful appearance with fashionable structure. With built-in constant current led driver and powered by AC/DC power supply. There are two installations as Surface and recessed mounted. 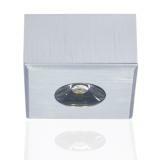 Aluminum Hot Selling Square LED Cabinet Lighting 12VDC ILED-PK-201P adopt high quality Edison or Cree LED as the light source. Beautiful appearance with fashionable structure. With built-in constant current led driver and powered by AC/DC power supply. There are two installations as Surface and recessed mounted. 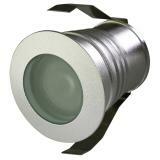 Puck LED Light 1W ILED-PK-201O adopt high quality Edison or Cree LED as the light source. Beautiful appearance with fashionable structure. With built-in constant current led driver and powered by AC/DC power supply. There are two installations as Surface and recessed mounted. 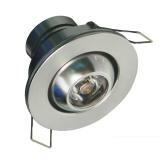 Round LED Step/Stair/Wall Lights/Luminaires ILED-PK-201T adopt 1 pcs high quality 1W Edison LED as the light source. Beautiful appearance with fashionable structure. With built-in constant current led driver and powered by AC/DC power supply. LED Step/Stair/Wall Lights/Luminaires ILED-PK-201TS adopt 1 pcs high quality 1W Edison LED as the light source. Beautiful appearance with fashionable structure. With built-in constant current led driver and powered by AC/DC power supply. Tiltable 30° LED Cabinet/Accent/Furniture Downlight ILED-PK-201F adopt 1 pcs high quality 1W Edison or 3W Cree LED as the light source. Beautiful appearance with fashionable structure. With built-in constant current led driver and powered by AC/DC power supply. 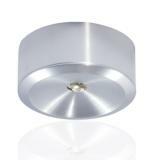 Surface LED Puck/Cabinet/Spot/Furniture Light CREE LED Dimmable adopt high quality Edison or Cree LED as the light source. Beautiful appearance with fashionable structure. With built-in constant current led driver and powered by AC/DC power supply. 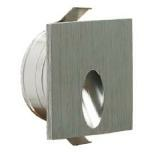 Can be surface flush or recessed mounted. 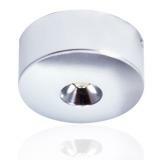 LED Step Lights ILED-PK-201TS adopt 1Watt CREE or EDIOSN led, silver surface and white surface. Stylish design and diverse varieties, is perfect for step lighting, corner lighting and other decorative lighting.